miscellaneous lamps. see pictures below...no reasonable offer refused. 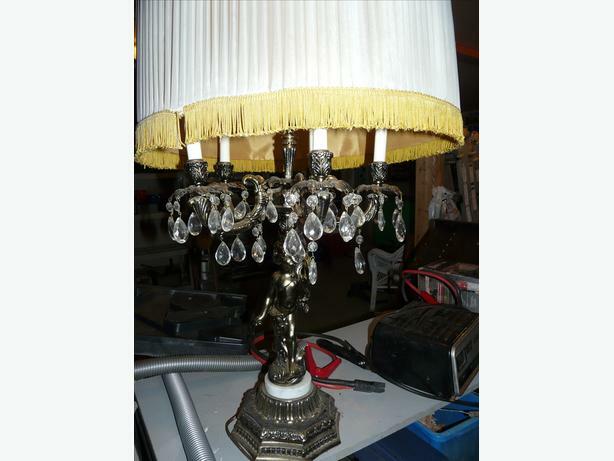 large cherub tabletop lamp with chrystal drops. modern, outside porch or patio light.